Scientists for the Right to Know (SRK), a scientific non-profit organization, hosted Canada’s Science Policy: A Debate on Friday, October 18, hosting a forum on the recent “war” on scientific development by the federal government. The event was held in conjunction with the University of Toronto Graduate Students’ Union, the U of T Faculty Association and the York University Faculty Association. Journalist Chris Turner, author of “The War on Science: Muzzled Scientists and Willful Blindness” moderated the proceedings. The panel of speakers included Elizabeth May, leader of the Green Party of Canada; Kennedy Stewart, NDP opposition critic for science and technology, and Carolyn Bennett, Liberal MP for St. Paul’s. Greg Rickford, federal minister of industry, science and Technology, did not attend the event, citing schedule conflicts. Debate organizers say that they asked for another Conservative representative but that no alternative was speaker was forthcoming. The event featured a keynote address by Turner, prepared remarks from the panelists, and a question and answer session. Audience members — most of whom were university faculty — asked the Parliamentarians their views about the national media, the protection of scientific freedom, and the restriction of scientific discourse by the Harper government. All three panelists opposed the current government’s approach, which Turner described as “do no science, hear no science, and speak no science.” In his address, Stewart highlighted the seven per cent reduction in federal science and technology funding since 2006, and talked about the resulting brain drain. “Scientists are leaving this country, and this is scary, because we aren’t going to get them back,” he said. May drew applause for many of her comments, including an attack on what she called prime minister Stephen Harper’s “acceptance of ignorance” which, according to her, has given Canada the worst reputation of any industrialized country on climate science issues. However it was the absence of a Conservative representative that was most emphasized throughout the proceedings. The absence was marked by an empty chair on stage and many critical comments from the panelists. Eichler explained in detail her repeated attempts to get the Conservatives to send a representative. The lack of political diversity also drew criticism. Dr. Anthony Bonner, professor of mathematical and computational science at the university, disapproved of the event marketing itself as a debate, as he did not feel there was equal representation. Would you buy an essay? The University of Toronto’s St. George campus is teeming with posters advertising custom essay-writing services to students. The university’s official recommended punishment for submitting purchased work is expulsion. Posing as a first-year student behind on their work, The Varsity spoke to Custom Essay and Essay Experts and purchased a three-page paper from Essay Experts in order to learn more about the process. Essay Experts charged $124 for a 750-word paper. Custom Essay offers similar rates. Both companies claim that their papers are written by qualified professionals, and said that all of their work is original and will not be flagged as plagiarism by websites like turnitin.com. Marcel Vilanez, a representative of Essay Experts, said that the company’s papers are not meant to be submitted as is. “You are not supposed to submit the essay directly to your professor. That would go against the university code. This is why we give you time with the paper, so you can write your own. It is as if we are another student in the class, perhaps a very good student, and you want to see their answer, what they would write,” he said. The company website claims that it is completely legal to purchase work as long as it is properly attributed, and outlines the proper way to cite Essay Experts’ work in an original paper. In contrast, Nick — a representative of Custom Essay — said that he would not recommend that a student purchase work from the company and cite parts of it in an original paper. “I wouldn’t dream of it. You are asking for trouble. You would probably get thrown out of university. We are not credible enough to quote,” he said. The company even offers a $25 service to run its papers through turnitin.com, to reassure students who are worried about getting caught. Turnitin saves copies of all the papers it receives, so it is not clear how this service would make the paper less likely to be flagged at a later date. Custom Essay’s website is registered under an organization called Domains by Proxy, a company that offers domain privacy services to companies who wish to anonymize the personal information of their domain owners. The purchased paper was written according to the requirements of an actual assignment for PHL275 — Introduction to Ethics. The paper answered the question: “Is psychological egoism true? If it were true, what implications would this have for our understanding of morality?” It received an approximate grade of C+ or B- from the instructor of PHL275, professor Thomas Hurka. “It covers the territory but it is not written in a mature way. It only reports on other people’s opinions and tends to rely on quotations to make its points, which is in a way more of a high school than university way of writing,” said Hurka. The university does not have a clear policy on whether or not citing a purchased work would constitute an academic offence. The Code of Behaviour on Academic Matters states that it is an offence to “obtain unauthorized assistance in any academic examination or term test or in connection with any other form of academic work.” It also states that the recommended sanction for submitting purchased work is expulsion, with a minimum sanction of suspension, and zero as the final grade where the offence occurred. Jessica Soedirgo, a TA in the Department of Political Science, says that she would not accept a paper that cited an essay writing service. “These services, they’re notorious essay mills. Citing them is just, it’s problematic. That’s terrible,” she said, adding that she thinks most students who purchase work would hide this fact, rather than cite it in an original paper. The contrast between citing purchased work and submitting it in whole is important for Hurka. He compares the essays provided by the service to any other external work incorporated into a final paper. He said that if a student borrowed a paper from a past student in a class, used it for guidance, and cited it appropriately, it would not constitute plagiarism. He said that he does not see a significant difference between this and citing a purchased work. As long as the bulk of the work is done by the student themselves and the source is cited properly, it does not constitute plagiarism, he says. 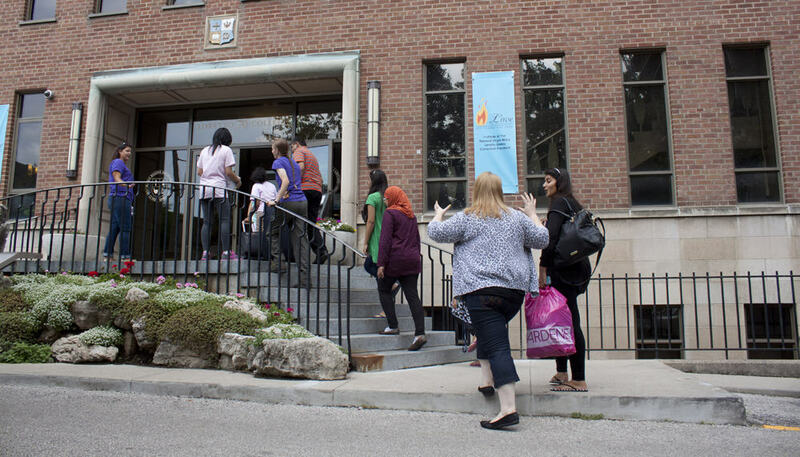 Earlier this month, in an investigation by The Varsity, former residents at Loretto College raised concerns about the college’s policies and its residence atmosphere. Loretto is a private, all-female residence affiliated with St. Michael’s College (SMC). The Varsity spoke to former residents who were uncomfortable with the conservative policies and tone of the residence and the requirement that they formally agree to live in a “Christian academic community.” Under the University of Toronto’s residence guarantee policy, some students also faced a choice between living in Loretto and not living in residence at all. The university has now clarified its position on some of the questions raised by the investigation, although significant questions remain unanswered. Michael Kurts, assistant vice-president of strategic communications, was asked whether women could have been placed in Loretto without requesting it in the first place. Kurts explained that there are higher demands for particular residences than can be met. When this is the case, Housing Services identifies other residences that have open spaces, and offers students a place within these alternative residences. “This means that any student may be offered a space in a residence that they did not select as their choice. This would be as true for Loretto as any other U of T residence,” he said. If a student chooses to decline this offer, they are placed on a waitlist for their first choice residence. Kurts acknowledged that the likelihood of getting a spot in one’s first choice residence after being placed on a waitlist was “very low.” A number of the girls interviewed during The Varsity’s investigation said they felt uncomfortable signing the residence agreement but were told that no other option was available. Some elected not to sign the residence agreement and found off-campus housing. Kurts further clarified that all U of T policies are in effect at Loretto College, as it is affiliated with the university, and that while they do not have an exact number of girls who did not select Loretto as their first choice, “the number is small, and likely fewer than five.” The Varsity interviewed more than a dozen girls, who entered across multiple years, and indicated that they did not select Loretto as a first choice. The SMC residence office said that all Arts & Science students who are a part of SMC are offered both a spot in Loretto and a spot in SMC proper, but the same does not seem to be true for professional faculty students, who are dealt with separately. Many of the engineering students interviewed during the course of the investigation claimed they were told they would be offered spots in both Loretto and SMC. However, when they were offered spots in Loretto and inquired about the alternate offer, they were told none was available. Meanwhile, Angela Convertini, dean of residence at Loretto College, said she felt that no students were forced into Loretto. When asked about why the residence agreement was not made available online, Convertini explained that as a smaller residence, Loretto does not have access to a webmaster and therefore is unable to maintain a separate website containing its residence agreement. For more than a decade, U of T’s endowment and pension funds have been managed by the University of Toronto Asset Management Corporation (UTAM). From January 1 to June 30 2013, the portion of U of T’s endowment for long-term investment returned 5.89 per cent, with the total now sitting at just over $1.9 billion. UTAM was incorporated in 2000 to pursue a more active style of managing U of T’s funds, including its endowment and pension plan. The university contracted the organization in the hopes of securing greater returns from its investments than it did from the committee of volunteers that preceded UTAM. 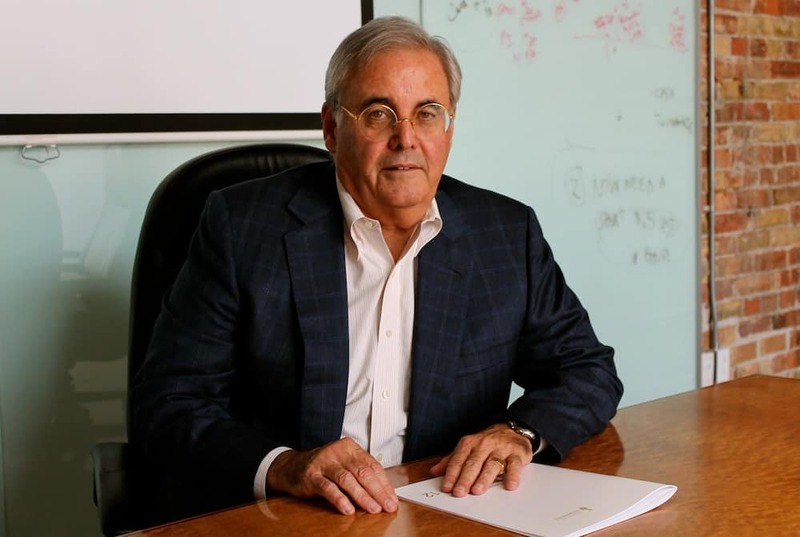 “We don’t actually manage that money internally,” explained William Moriarty, president and CEO of UTAM. “What we do is we work with the university to create a portfolio asset mix that is designed to meet their objectives in terms of return objectives, in terms of risk appetite, in terms of time-frame.” After the university agrees on this reference portfolio — generally a collection of low-risk, easily managed investments — the corporation proceeds to create an actual portfolio, which investors sometimes drily refer to as the “better portfolio,” to attempt to outperform the reference. UTAM then searches for and contracts investment managers to run segments of the portfolio, depending on their expertise. “In that sense we’re a manager of managers, or a fund of funds,” Moriarty noted. The CEO used UTAM’s approach to Canadian equities (assets minus debt, or simply, stocks) as an example. “We essentially said ‘Which segment of the market has the greatest number of companies and the greatest dispersion of returns?’ When you go through that and you look at the marketplace, the answer to that is natural resources, so if you can find an expert who really knows the natural resource space, then you should be able to add extra value into the portfolio.” With this in mind, UTAM went on to contract AGF Management Limited, a specialist in the industry. Though UTAM still monitors its performance, it now leaves investment decisions for a portion of U of T’s assets to AGF. Assessments of the corporation’s performance to date have been mixed. The University of Toronto Faculty Association (UTFA), whose pension fund UTAM manages, disapproves of the university risking losing money in the attempt to beat the market. “UTAM thinks that by actively managing our funds, by picking the right stocks, the right investments, they can beat the returns of similar passive investment portfolios by, say, half a percentage point every year after cost,” stated Ettore Damiano, economics professor and member of the UTFA’s Salary, Benefits, and Pensions Committee. “Maybe it’s possible, but it’s very hard because the cost structure of active management is very high. UTAM spends about 1.4 per cent of our assets every year in expenses.” In order to make that additional half a percentage point in returns, he concluded, UTAM would have to make almost two per cent more per year before costs than a passive, low-management index fund — a difficult task in the relatively efficient North American equities market. Nonetheless, UTAM’s performance of late has been promising. In the past four-year period, the Long Term Capital Appreciation Pool (LTCAP) has returned 8.42 per cent (0.92 per cent more than the reference portfolio, all figures after costs), while the pension fund has returned 8.38 per cent (0.87 per cent more than the reference). “That’s an extra, potentially, fifty-odd million dollars each year to the university, net of all costs,” said Moriarty. “So I would say over the last four years, touch wood, we’ve been reasonably successful.” This is a welcome sign, as the university — like much of the world — is still reeling from the effects of the 2008 financial crisis, during which the university experienced a 29.4 per cent loss of the LTCAP and 29.5 per cent of its pension fund. UTAM will need to continue to perform similarly if U of T is to fully recover its 2008 losses. Both Moriarty and Damiano emphasized that gauging the success of investment managers is complicated, because their work is characterized by periods of triumph and periods of failure. Any manager can look either brilliant or incompetent, depending on the years evaluated. That said, it is in the university’s best interest that Moriarty and UTAM are brilliant for a little while — much of the University of Toronto’s fortune rests on the their success. 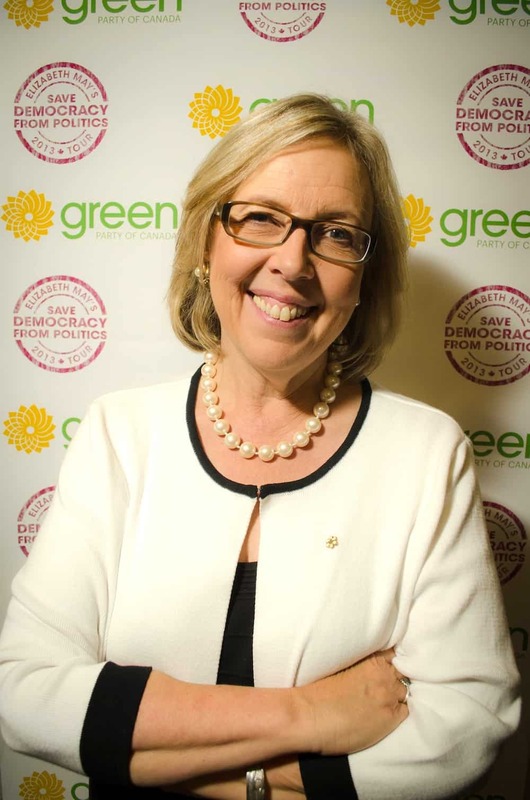 Green Party leader Elizabeth May describes her vision for post-secondary education: greater financial support for universities via federal government transfers to provinces. “We need to ensure that we put an end to interest-bearing student loans, and we’ll expand bursaries and scholarships for young people,” May stated. “If you’re feeling disengaged and disillusioned, and angry at politicians, the most important thing to do is to vote… I think what you have to do is take the time to learn about the issues, be active in our democracy, and take the time to vote. So that’s a message to everyone, not just a message to young people,” May said. In October, May held a town hall on democratic renewal as part of her “Save Democracy From Politics” nationwide tour. The tour was designed to give May a platform to discuss the issues of electoral reform, and what she calls “our democratic deficit.” May is an outspoken proponent of proportional representation, and wishes that political parties had never been established. The Green Party was the first federal political party to call for the legalization, regulation, and taxation of marijuana. “It’s very clear that prohibition does not work, and it takes scarce law enforcement resources and puts them in the wrong place, criminalizing people whose activities shouldn’t be criminalized,” stated May. Two of the Green Party’s long-term national goals are to eliminate student debt entirely, and to increase accessibility to post-secondary education. Mike Schreiner, leader of the Green Party of Ontario (GPO), said “one shouldn’t detract from the other,” and hopes to achieve both through a multi-year tuition fee freeze. To ensure that the lost revenue does not detract from university budgets, Schreiner promised: “We’d reverse the corporate tax cuts introduced by the Liberal Party… Having skilled young people entering the workforce is a huge benefit to businesses of all sizes, so it seems right that they should help pay for something that helps them.” Ontario is the province with the highest tuition fees, but the lowest public investment. In addition to the tuition fee freeze, Schreiner would like to introduce grants that are more needs-based, instead of the current tax credit system. Schreiner pointed out that Ontario is the province with the highest tuition fees, but with the lowest per capita spending on education. He believes that the province’s lack of commitment to education results from the mistaken view that youth are not politically engaged. “The more engaged young people are in politics, the more the policies would benefit them,” he said. May does not believe that there is sufficient evidence that cannabis is any more of a health threat than cigarettes or alcohol, and supports findings that marijuana is beneficial when used for medical purposes, specifically as an aid for chronic pain, and other illnesses. Ontario may soon face a critical shortage of nurses, affecting wait room times and the quality of health care, according to the Registered Nurse Association of Ontario (RNAO). A recent report from the Canadian Institute for Health Information (CIHI) found that, while most of the country has experienced an increase in the number of nurses per 100,000 people, Ontario’s numbers decreased from 718 to 699 between the years 2008 and 2012 — leaving it second-last in the country. British Columbia currently ranks the lowest in nurses per population. Registered nurses are front-line caregivers who have a university degree. While the majority work in hospitals, they can also work in clinics, schools, management, and policy fields. Dr. Lianne Jeffs, scientific director, nursing health services research unit and associate professor of nursing at the University of Toronto, said the situation must be monitored closely over the next few years in order to ensure the safety of patients in Ontario. She said that while there are some positive aspects of the CIHI report, such as the rising number of nurses working full time hours — 66.6 per cent up from 62.9 — and the number of Ontario nursing graduates remaining in the province at 93.6 per cent, there are still concerns about the decreasing number of registered nurses. On October 9, the Registered Nurse Association of Ontario (RNAO) quickly released a statement regarding the findings of the CIHI report. Doris Grinspun, CEO of the RNAO, said that the results of the report are nothing new. 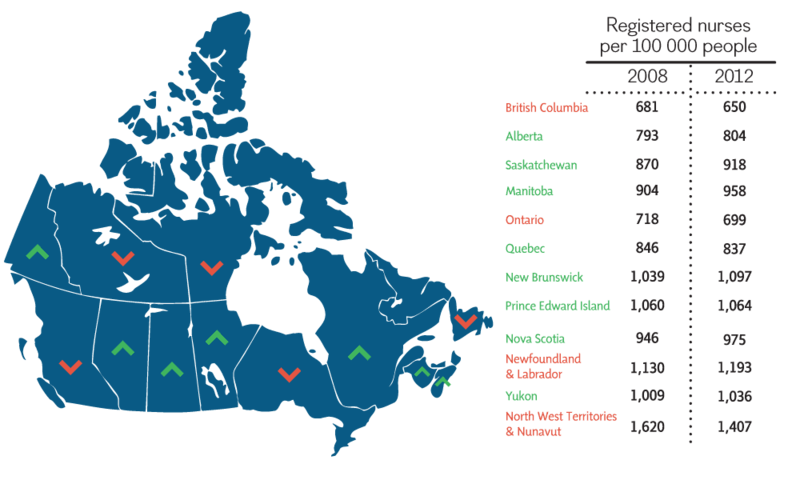 The RNAO states that the province will likely need to find at least 9,000 nurses by 2015 in order to keep pace with demand. If numbers are not met, Grinspun said the implications on our health care system could be far-reaching. “Emergency room departments become fuller and fuller, and the implications will be that people will not have same day access in primary care,” Grinspun said. The ministry statement added that the actual ratio and needs of members of the community are hard to measure, and that such changes as advances in health technology, population demographics, and the effectiveness of care delivery models are all important factors. The statement also adds that while Ontario may have the second lowest registered nurse levels in the country, thanks to government initiatives such as HealthForceOntario, the province’s nurse workforce has increased 5.8 per cent between 2008 and 2012, and outpaced the population growth of 4.4 per cent. Critics, however, are not entirely convinced that government initiatives are enough to attract more nurses to the province. Christine Elliott, MPP for Whitby-Oshawa and Progressive Conservative health critic, said that the shortage is part of the larger economic problem of the province. “Because our economic situation is so dismal that we really have a debt that’s doubled under the Liberal government and a huge deficit that is really holding us back from making important investments in health care,” said Elliott. The healthcare system in Ontario is growing at six to seven per cent per year, a rate that is unsustainable, said Elliott. “Within the next 10-15, years health care will consume up to 80 per cent of the provincial budget.” This would severely limit the investment in other areas such as education and infrastructure. France Gélinas, MPP for Nickel Belt and the NDP health critic, agrees that something has to be done. Speaking with The Varsity on a trip to her constituency, Gélinas said that she hears many complaints about the rural health care system, and not just from patients. “Work that used to be done mainly by nurses in an environment with lots of oversight now gets transferred to the community, most of the time to a for-profit and most of the time this work is picked up by people who are not nurses,” said Gélinas. “The hospitals are worried; the nurses are worried, and basically everybody who cares about medicare is worried. That includes a lot of physicians who see the changes coming forward and know what that means,” she said, referring to the trend of community care being picked up by private health care workers. Grinspun said that while the number the RNAO is calling for may not be met, the organization has a responsibility to bring the numbers to light and make sure that the public has knowledge of the situation. “The research points very clearly to the impact of registered nurses, of hours of patient care, of registered nurses on patient, and population outcomes. At the end of the day, governments need to be accountable for their policies,” said Grinspun. Prime Minister Stephen Harper announced the date of four federal by-elections Sunday, including the riding of Toronto Centre which includes parts of the University of Toronto’s St. George campus. The seat became vacant this past summer, when former Liberal party leader and current U of T instructor Bob Rae resigned. The by-election has been billed by some as a test of the Liberals’ and NDPs’ relative strength in the lead up to a general election in 2015. Her NDP opponent Linda McQuaig is also a well-known journalist, having written for Maclean’s, the National Post, and The Globe and Mail. “She has policies that speak to student issues and on topics relating to income equality, tuition fees, affordable housing and unpaid internships — all of which are issues which relate to the average student” says McQuaig spokesperson Angela Zhu, who is also the treasurer of U of T’s New Democrats. Sharon Danley, campaign manager for Green Party candidate John Deverell, feels that while Deverell should be elected, the whole system should be changed to one of proportional representation. “The Green Party is the best equipped to deal with the issues that matter­ — income inequality, climate change — but its difficult to do that without proportional representation.” Deverell is also a former journalist; he worked for 25 years at the Toronto Star. The Conservative Party’s candidate is Geoff Pollock, a lawyer and former army reservist. As of press time, Pollock’s campaign had not replied to requests for comment. The University of Toronto Students’ Union (UTSU) 2013 fall by-elections were held last week, with most of the positions going uncontested. The UTSU introduced online voting for the first time this election. The by-elections — held on October 15, 16, and 17 — were for one position on the Executive Committee for VP external and several positions on the Board of Directors. Directors for the transitional year program, the Ontario Institute of Studies in Education, and the Faculty of Dentistry went uncontested, and the candidates were acclaimed. This election was the first time the UTSU had online voting in addition to the usual physical polls located across campus. In September, the UTSU’s board approved online voting with limited hours, from 9:00 am to 6:00 pm, after more than a year of controversy surrounding online voting. At the time, the board indicated it hoped online voting would increase voter turnout. The turnout has been low in past years, reaching less than 7 per cent in last spring’s election. Unofficial results were announced on Friday evening. Onik Khan, the former VP campus life who ran unopposed for the seat of VP external, won with 1088 voting yes and 268 voting no. Khan’s election was the only one where all undergraduate students were eligible to vote; turnout was less than 4 per cent. There was an unusually high number of spoiled ballots in the VP external election with 253 ballots — approximately one-sixth of all votes cast, declared spoiled. “I feel great about the results of the past two weeks of talking to students about issues such as the cost of education, transit, and how to make the student community at U of T stronger. My volunteers and I had a lot of great conversations with students in person about these issues, and how students can work together,” said Khan. Khan went on to say that one of the first things he plans on working towards as VP external is getting students involved in a movement against flat fees. In a recent interview with The Varsity, Brad Duguid, minister of training, colleges and universities, revealed that he plans to alter the flat fees policy. Khan also wants to focus on reducing education costs and pedestrianizing the campus. Additionally, Khan hopes to addresses broader community issues such as sweatshop working conditions. Khan intends to step down as VP campus life to assume his new position, which will automatically trigger an appointment process to fill the post. Pierre Harfouche and Sanchit Mathur won the two seats for the faculty of engineering, beating out four other candidates. Despite his lack of campaigning, Harfouche came in first with 145 votes. Mathur, who served on the board last year, came in second with 116.